Buying a house can be exciting. It can also turn normally sane people just a little nuts. 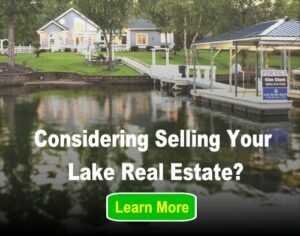 Ask any real estate agent. While the average real estate professional may handle several home sales each and every month, the average consumer only buys a few houses in his or her lifetime. It’s understandable that the process can be unfamiliar and thus, stressful. However, there are a few things you’ll want to avoid doing if you want to stay on the good side of your real estate agent. 1. You change your mind about what you want. Everyone has a list of things that they want in their dream home. Some are negotiable and some aren’t. That’s understandable. What makes your Realtor nuts is when you change that list dramatically during the buying process. When she carefully researches and finds homes to show you that have the two baths and three bedrooms you requested, it’s a little aggravating when you insist you have to have four bedrooms. Avoid this by having a family meeting before you talk with the real estate agent and nail down those items that are the most important to you and your family. 2. You make an unrealistically low offer. Making a low, low offer on a property wastes everyone’s time. The seller is unlikely to accept the offer, yet the real estate agent has to spend time writing up the offer and presenting it to the seller. You’re not likely to get a bargain this way. 3. You argue with your parents, friends, others about the house during the showing. Trying to show a house to a potential buyer with someone else arguing about every point the real estate agent makes is next to impossible. Of course, your parents and friends are entitled to their opinions, but etiquette requires that they hold their tongue while the agent is presenting the house. There will be plenty of time to discuss the pros and cons of the property after the showing is over. 4. You want to see houses that are way beyond your budget. Some buyers, especially first-time buyers, are just not particularly realistic about how much house they can afford. They may not fully understand the impact of interest, insurance and property taxes on their monthly house payment. Or, they may just be living in a dream world. Either way, such clients waste a lot of the real estate agent’s time looking at houses they won’t be able to buy. Avoid this by getting pre-approved for a mortgage before you call the real estate agent. With a pre-approval, the bank (or other lender) evaluates your income, expenses and other factors and gives you a letter indicating their willingness to make a home loan to you for up to a certain amount. However, just because a bank will lend you a certain amount doesn’t mean that figure will work well with your budget. It’s best to also evaluate how much you can spend for a house without impacting your other bills. 5. You’re working with multiple agents. Real estate agents don’t get paid by the hour; they only make money when they sell a home. Although it’s fine (and even a good idea) to interview several agents before you find one with whom you can communicate and work well, it’s self-defeating to have more than one agent working for you in the long run. In even the largest cities, the real estate community is a small one and you can assume that your agents will find out that you’re two-timing them. While the home-buying process can be a little scary and stressful, especially to first-time buyers, you can help the process go more smoothly by being realistic about what you can afford, sticking with one agent and being clear about what you want in a house.